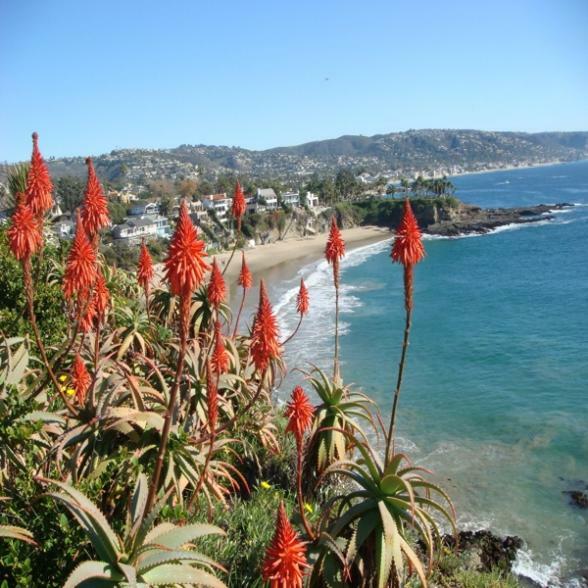 Carefree Laguna Beach, stretched along seven miles of coastline, is located midway between Los Angeles and San Diego. A year-round retreat for art lovers, nature enthusiasts and beachgoers, there's a real creative slant to this seaside community. Enjoy a good stroll through the unique shops and galleries that line the village-style streets. Main Beach is situated in the heart of downtown Laguna and a great place to top up the tan and people watch. The boardwalk here leads to Heisler Park's walking trails, gardens, a marine refuge with tide pools, picnic tables, barbecues and bowling greens. Oh, and we can't forget to mention the sunsets - possibly the most amazing in California. Gorgeous rooms and suites situated ON the pristine sands of Laguna Beach. You won't find better - stop looking!